Trinity Beach is a stunningly beautiful bay-shaped beach just to the north of Cairns and only a few minutes (15-20) ride away from the airport. 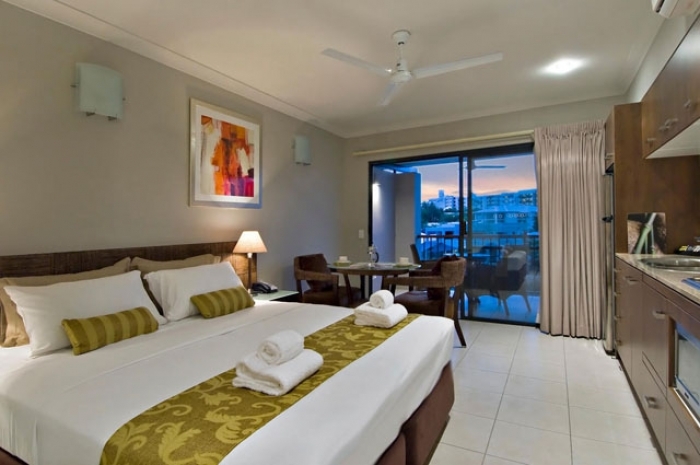 It's one of the most desirable holiday destinations in Australia and boasts some exceptionally luxurious accommodation for the discerning visitor. Below you'll see a range of incomparable apartments we're offering at under $300 per night. Spacious, One, Two, Three & Four Bedroom Luxury Apartments and Penthouses with breathtaking ocean views. Resort style pool, sun decks and direct beachfront access. 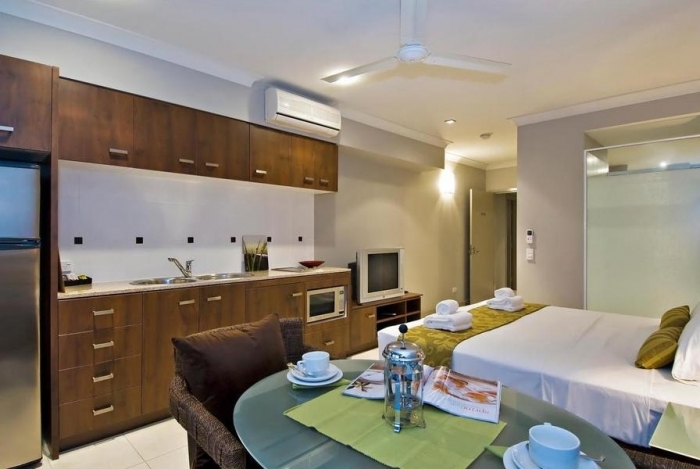 Bellevue Trinity Beach offers luxury one, two and three bedroom apartments. All with uninterrupted 180 degree views of the Coral Sea, undercover parking, a huge pool with an outdoor barbeque area overlooking the sea. Directly opposite the beach, a place that’s affordable and modern, uniquely designed to respect your comfort and enjoyment - where the whole feeling is one of space, position and privacy. Trinity Beach is a haven for families and couples alike. Keep an eye out while strolling the beach for dolphins that are regularly seen around the southern end of the beach. Spend some time on the southern point and see turtles there most days or wet a line with the locals. Set amidst one acre of beautifully landscaped tropical gardens and established palms, The Roydon is noted for its beachfront location, spacious apartments & relaxed atmosphere. With its award-winning beach, Trinity offers safe swimming all year round. Lifeguards patrol the beach and a stinger enclosure is present during November to May when Jellyfish frequent the waters in Far North Queensland. Amaroo at Trinity Beach offers ocean views over Trinity Beach, Tennis Court, Heated Spa, Fantastic value for money. Blue Lagoon Resort is just 2 minutes walk from one of the region’s most loved beaches and within strolling distance of alfresco cafes, shops, takeaways and sophisticated international restaurants. Key Features: Costa Royale Beachfront Apartments is only 50 paces to the golden sands of Trinity Beach, Panoramic Ocean views from all beachfront balconies with incredible Sea Breezes, offer free wi-fi, fully equipped kitchen and laundry, large spacious bedrooms, spa bath air conditioning and secure parking. 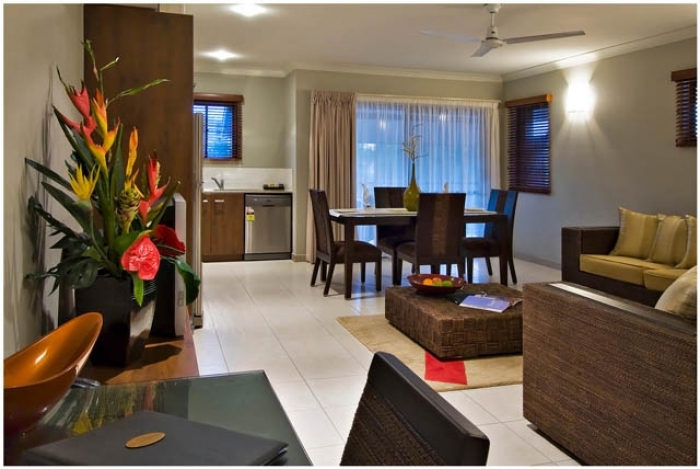 FNQ Apartments doesn't "sell holiday accommodation". Instead, we work to understand your preferences and requirements then match those to accommodation options in the most privileged locations. That is our service and our reason for being. 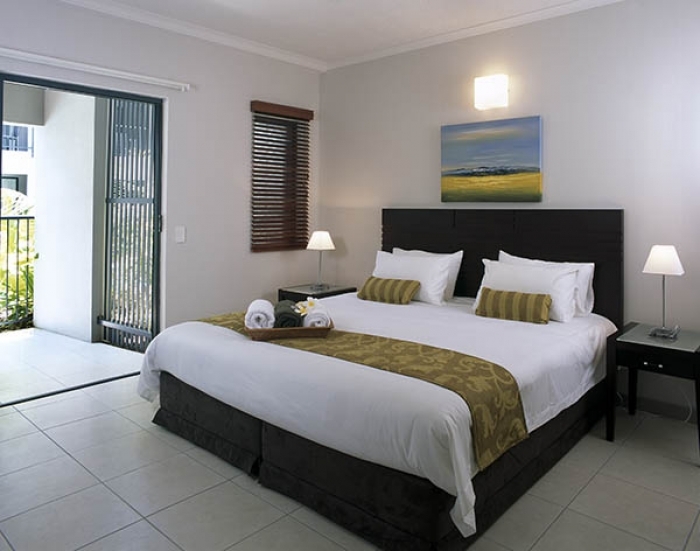 Let us prove that to you by showing you what our local expertise can do for you in terms of Trinity Beach holiday accommodation.